Photos courtesy of Bob Ford from his personal collection. 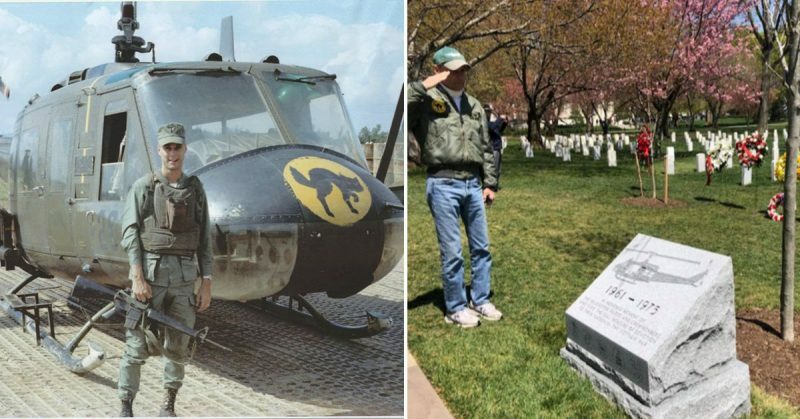 On April 18, a dedication was held for the Vietnam Helicopter Pilot and Crew member Monument in Arlington Cemetery where it resides. Vietnam War Veteran and author of Black Cat 2-1, Bob Ford, had the pleasure of attending this event as seen in the images below. An estimated 3,000 veterans, as well as military family members, witnessed the unveiling of the monument. The granite block (size 2.5 by 2.5 feet) is engraved with an Army Huey to honor Vietnam’s air warriors and took four years to finally be approved and completed. Though the request by the Vietnam Helicopter Pilots Association was declined in 2014 by Army officials due to lack of space, association officials ultimately gathered enough support toward a law to authorize this incredible memorial. After the ceremony, the crowd traveled along Memorial Drive in a slow procession to the sound of bagpipes playing while getting a first-time glimpse of the monument. A massive semicircle by the audience was created around the monument, while more of the crowd walked up a nearby hill to observe the scene and take photographs. 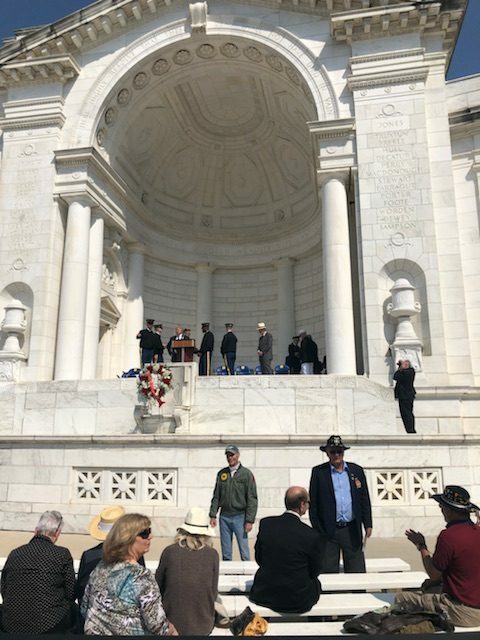 After a bugler completed playing Taps, the group looked in unison to the east, four UH-1 helicopters, nicknamed Hueys flew in formation above the cemetery to mark the memorial’s dedication while the audience applauded. The ceremony finished with a reception following near the entrance of the cemetery complete with a combat UH-1 helicopter displayed. In the Vietnam War, 2,197 helicopter pilots and 2,717 crew members were killed. Black Cat 2-1 is the story of one pilot who made it home and the valiant men he served with who risked their lives for the troops on the ground. Bob Ford invites readers into the Huey helicopters he flew on more than 1,000 missions when he and his men dared to protect and rescue. For those whose voices were silenced in that faraway place or who have never told their stories, he creates a tribute that reads like a thriller, captures the humor of men at war, and resounds with respect for those who served with honor.